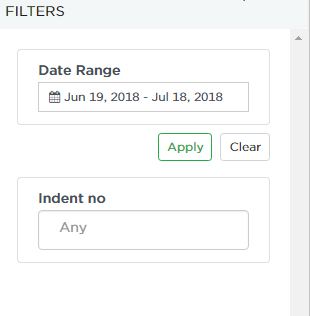 Filters button is used to filter the listed transfers based on date range and indent no. (if entered). Select the date range ,indent no. and click Apply button to see the transfers that fall under the selected range.